The US on Thursday came down heavily on China for its continued stonewalling of efforts against the blacklisting of JeM chief Masood Azhar in UNSC. 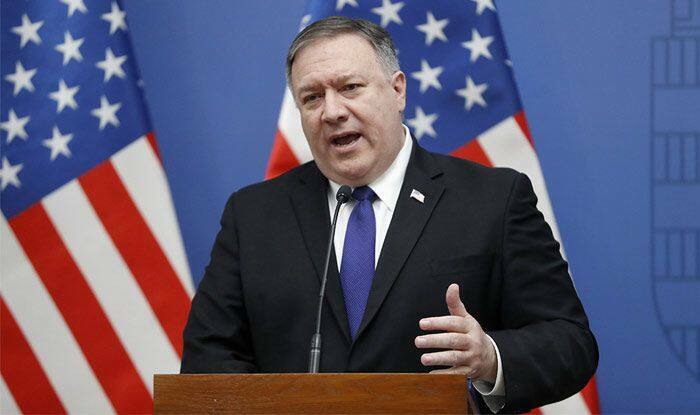 New Delhi: The United States on Thursday lambasted China in strongest terms over Beijing stonewalling efforts to brand terror organization Jaish-e-Mohammed (JeM) chief Masood Azhar as a global terrorist in the United Nations. This development comes on the day when the US circulated a resolution drafted with the support of the Britain and France and sent it to the 15-member United Nations Security Council (UNSC) against the JeM chief- urging that he be subjected to travel ban, an arms embargo and impounding of assets. Jaish-e-Mohammed engineered an attack on February 14, wherein an explosive-laden SUV rammed a CRPF vehicle, killing all 40 security personnel onboard in south Kashmir’s Pulwama district. The United Nations had deemed the JeM to be a terrorist organisation since 2001. However, defying global opposition to terrorism, China has repeatedly vetoed sanctions against Azhar. China once again opposed the blacklisting of Masood Azhar, weeks after India urged the UNSC in wake of the dastardly terror attack in south Kashmir’s Pulwama. China has single-handedly been blocking Azhar’s listing as a global terrorist at the UNSC committee for a decade now. In fact, China had hinted earlier that it may block the recent move, stating that the solution that is acceptable to all sides is conducive to resolve the issue (Pulwama attack aftermath). More than 10 countries had joined India as co-sponsors endorsing the inclusion of the JeM chief in this list, the latest being Germany. Until now, all the P-3 countries- US, UK and France have co-sponsored the proposal except for China.